I may have five children, but that doesn’t mean I’m all set on baby gear. Toys get broken or lost and technologies change, plus it’s just nice to get new things for your kiddos! My fifth baby is now six months old (!) and is getting more interested in toys, plus she’s getting her first teeth. I’m glad that there are options for natural toys out there that she can stick in her mouth without making me nervous! My baby loves to chomp on this Haakaa Natural Rubber Owl Teether! It’s made of 100% pure and natural rubber and is all one piece, so there’s nowhere for mold, dirt or bacteria to breed. It’s also easy for her to pick up and hold on her own. Chomp chomp chomp! This Marcus & Marcus Organic Rattle is another favorite. It contains a soft rattle that keeps her entertained, plus it’s the perfect size for her little hands to grab. She loves to nibble on the elephant’s trunk and crinkly ears, and I don’t need to worry about yucky stuff entering her system as this rattle is made of 100% organic cotton and is free from harmful chemicals. Babies have such sensitive heads, and mine isn’t any different! This Haakaa Goat’s Wool Wooden Baby Hairbrush is perfect for after bath time and before bed time. It’s made of natural wood and super soft goat’s wool. I use it to keep her scalp stimulated, which can help prevent cradle cap, generate blood flow, and remove dry skin – all while keeping her relaxed. Reader Giveaway: One lucky Jinxy Kids reader will receive a Haakaa Natural Rubber Owl Teether, a Marcus & Marcus Organic Rattle, and a Haakaa Goat’s Wool Wooden Baby Hairbrush! To enter, complete the entry form below by 11:59 pm ET on 6/11/18. Good luck! I’m most excited to try the Haakaa Goat’s Wool Wooden Baby Hairbrush and this will be for my Godchild that will be born in October. “Let us know which of these products you’re most excited to try and/or who will be using these if you win.” The hairbrush looks excellent! We will try to use it on someone with hair! I’m most excited about the Haakaa Goat’s Wool Wooden Baby Hairbrush . My newest granddaughter is 10 days old and was born with hair. I’m excited about that Haakaa Goat’s Wool Wooden Baby Hairbrush! I’d love to use it on my new little one that’s set to arrive in October. I am excited to use the tether.. my daughter was born with 2 bottom teeth! She is now teething with her too ones! The owl teether is so cute!! Owls are one of my favorite animals. 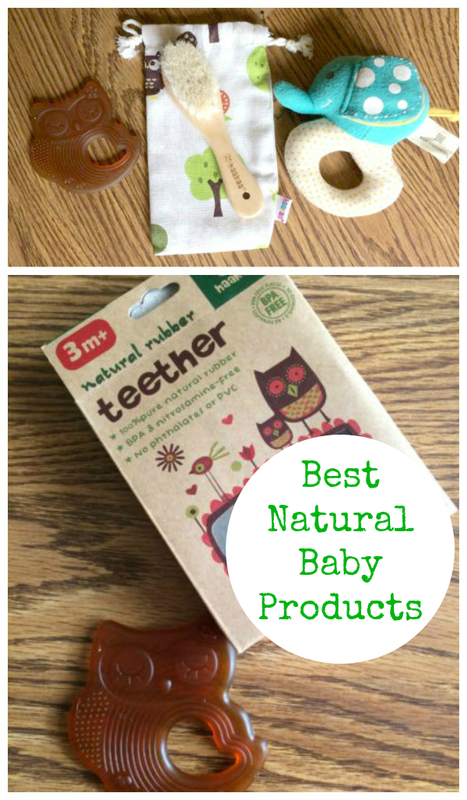 The Natural rubber teether seems great! Anything to help our little love soothe through that process! 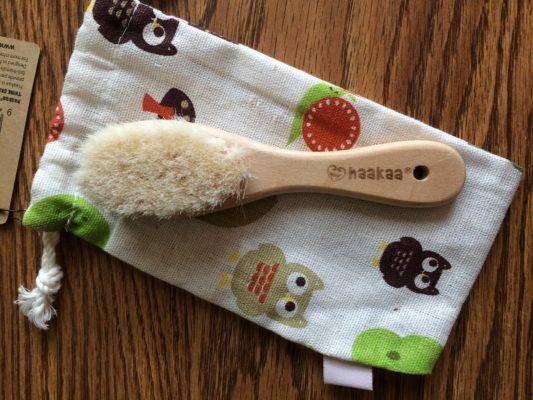 I’m excited to try the Goats wool Wooden baby hairbrush. That hair brush sounds pretty awesome. We just found out we are expecting our first, so anything in the way of baby gear would be amazing. I’m most exited about the Haakaa Goat’s Wool Wooden Baby Hairbrush. It would be for my son due this July. I’m most excited about the teether. It’s so darn cute and I love that it’s super safe! To my cousin! She love this! I’m excited to try the goats wool wooden hairbrush. We’re having our 3rd baby this fall. I’m most excited to try the Marcus & Marcus Organic Rattle. The prizes would be for my baby that is due in 2 weeks. I am excited for the Haakaa Natural Rubber Owl Teether. It’s too hard to choose. We are expecting our first grand child in early June so we could use all of them. 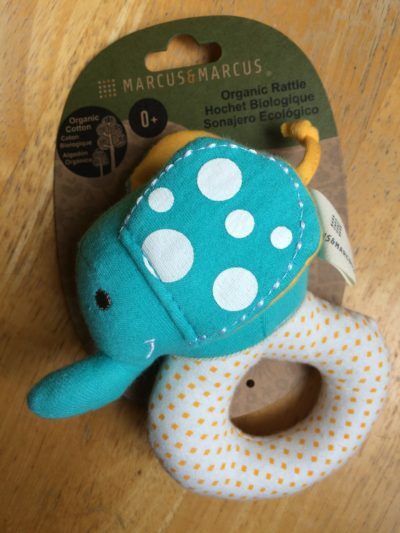 I am excited about the Marcus & Marcus Organic Rattle. I’m most excited about the organic rattle. I would love to see the teether in my nephew’s mouth! I love all of these– I love simple, natural baby products! I really love the Haakaa natural rubber teether! This would be so perfect for baby. I’d like to win the teether most. I will give these to my pregnant friend for her baby. The rattle looks so adorable! Would love to try the brush for my baby! The owl teether looks amazing, my new daughter coming in September will be using them!! I like the brush! I would love these for my sister-in-law. I really love the owl teether! Our baby is due in December and they will use it! I’m most excited to try the hair brush. It looks well made. Thanks for the giveaway! I don’t think I can pick just one I am excited about because I LOVE them all! I’m interested in all of them, for my new baby due in January. I’d love the Haakaa Goat’s Wool Wooden Baby Hairbrush for my baby. I would love to try everything especially the brush. I want to win these for my grandson . I think he would like the natural rubber Owl Teether. I am most excited about the Haakaa Goat’s Wool Wooden Baby Hairbrush. This would be a slower gift for my cousin! 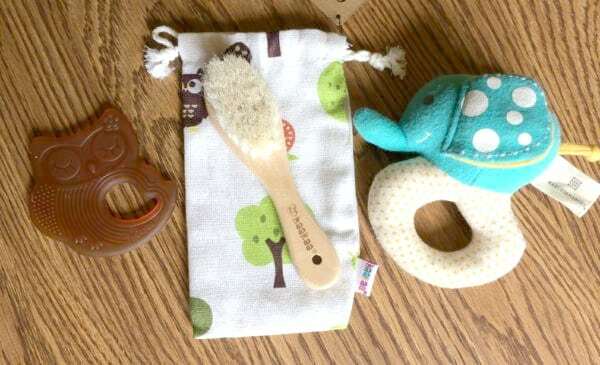 I like the Haakaa Goat’s Wool Wooden Baby Hairbrush. These will be a present for my friend’s granddaughter and her baby. I am most excited about the teether. Thanks for hosting the giveaway. The rattle is so adorable I would give to my friend who’s expecting again. I want to try the Haakaa Natural Rubber Owl Teether. It is so cute! The wash cloth is cute. I am always excited to find natural products for baby! i would love to get the goats wool Wooden baby hairbrush. I love the cute owl teether. These would be for my granddaughters. I would give them to my best friend because she is pregnant! I’m most excited for the teether–I’m currently pregnant and would be using this on my daughter a few months after she is born in October. All these items look great. I think the Haakaa Goat’s Wool Wooden Baby Hairbrush would be my favorite. I would gift these to my cousin for her babies. I think she would love all of the prizes. Thank you for the chance to win! I am most interested in the teether, and it would be perfect for a 4 month old grandson, who is already starting to teeth. I love the rattle. I have a friend who’s having a baby and elephants are her theme. These will be for my friend. 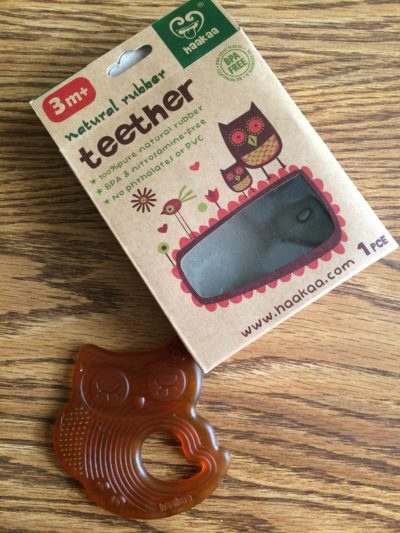 I am most excited to try the Haakaa Natural Rubber Owl Teether! This would be for my nieces! I’d gift these to a new mom! I’d love the Haakaa natural rubber owl teether. My granddaughter hasn’t started teethng yet, but I’d love to give her a healthier option to ease her pain. The Owl teether. It’s so cute and my grand neice will love it? I love the teether! My older 2 always had trouble with teething so I’m going to try more teething toys for my baby due this year. My grandchild would be using the Baby Hairbrush. The Haakaa Goat’s Wool Wooden Baby Hairbrush. I am most excited about the Haakaa Goat’s Wool Wooden Baby Hairbrush. My daughter would be using it. I would love to give these to my niece. I’m most excited about the owl tether. I would use it for our peanut coming later this year. These are cute baby toys. They are very stylish.